Spreading smiles, happiness and love all over the world. Ronald McDonald made his first public appearance in Washington DC in 1963. In 1966, he debuted in the Macy’s Thanksgiving Day Parade in New York City on November 25, 1966.In 1967, McDonald’s Corporation named Ronald McDonald as its official spokesperson and ambassador to children. Following which, he appeared on US national television as the star of a McDonald’s commercial. Ronald soon became a household name, second only to Santa Claus in popularity. And it’s easy to see why. He was funny, generous, warm, smart, friendly, and caring. He even learned to speak more than 24 languages and dialects including English, Japanese, German, Gaelic, French, Dutch, Danish, Swedish, Spanish, Mandarin, Cantonese, Norwegian, Portuguese, Thai, Finnish, Indonesian, Italian, Russian, Arabic, Malay, German, Tagalog, Turkish and Hindi! 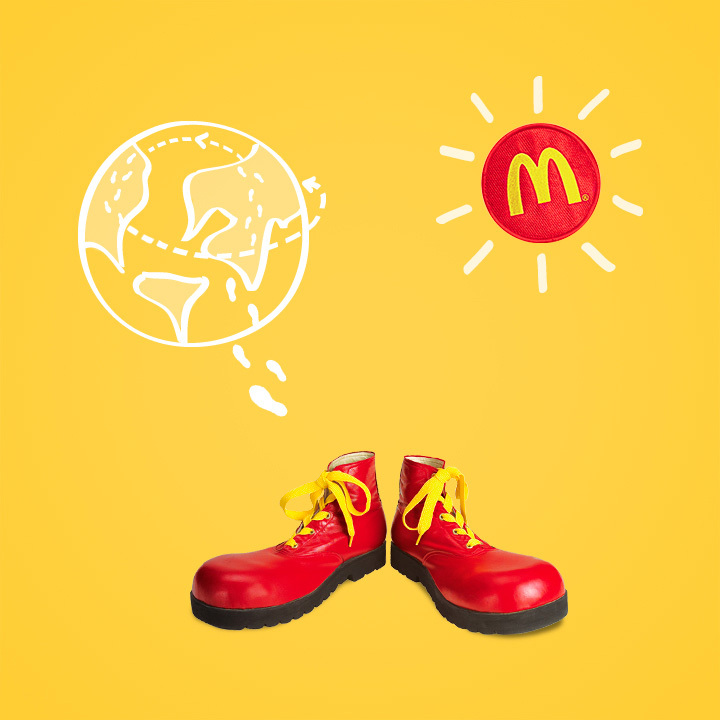 Today, Ronald is McDonald’s Chief Happiness Officer as well as the Ambassador for Balanced, Active Lifestyles – tasked with the quest to bring happiness to one and all.